While most voters favor citizenship for illegal immigrants who meet certain requirements, there is widespread agreement that new border security should come first. In addition, more than half say we should cut the number of legal immigrants allowed into the United States. A just-released Fox News poll finds 55 percent of voters think fewer legal immigrants should be accepted into the U.S. That’s up from 43 percent in 2010. Majorities of Republicans (67 percent) and independents (53 percent) as well as a plurality of Democrats (47 percent) want to decrease legal immigration. 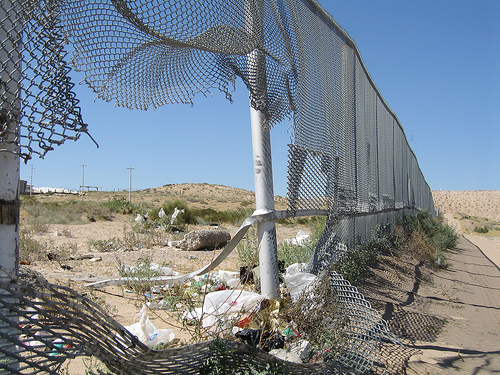 Border security is another aspect of this issue, and opinions are changing. Nearly twice as many voters say border security is at the right level today (32 percent) as said so in 2010 (18 percent). Still, the poll finds 60 percent of voters think it is not strict enough, and another 68 percent want new border security measures to be completed before changes to immigration policies. Republicans (75 percent) are more likely than Democrats (66 percent) to say new security should be done first.